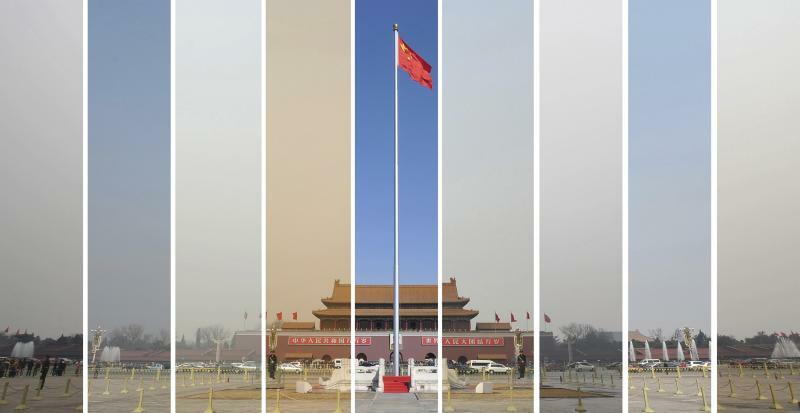 Beijing (AFP) - The skies of China's notoriously smog-filled cities saw a marginal improvement last year, according to figures released by Greenpeace Thursday, but pollution remained far above national and international standards. China's cities are often hit by heavy pollution, blamed on coal-burning by power stations and industry, as well as vehicle use, and it has become a major source of discontent with the ruling Communist Party. Levels of PM2.5 -- airborne particulates with a diameter small enough to deeply penetrate the lungs -- fell year-on-year in 71 of the 74 cities monitored by the ministry of environmental protection, the figures showed. 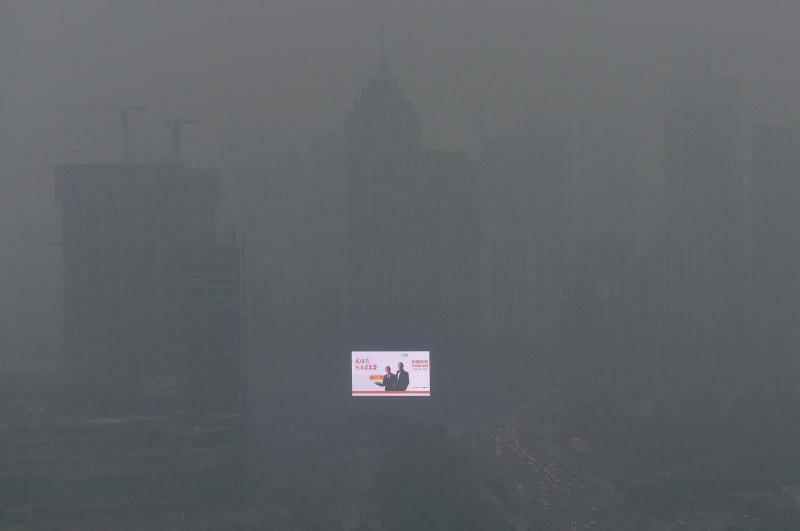 But in China's most polluted city, Xingtai, they still averaged 131.4 micrograms per cubic metre. In Beijing, they were 83.2 micrograms per cubic metre, and 52.2 in Shanghai, the country's financial centre. The World Health Organization recommends a maximum average exposure of 25 micrograms per cubic metre in a 24-hour period, and 10 micrograms per cubic metre over a year. China's own standard is 35 micrograms per cubic metre over a year. The statistics released by Greenpeace were based on official data from China's ministry of environmental protection. It makes current levels available online but does not publicly release historical data or averages. The figures were compiled by Fresh-Ideas Studio, the operator of a popular pollution monitoring app. The numbers showed that Xingtai, in the northern province of Hebei, enjoyed a 15.3 percent improvement, with Beijing levels falling 7.7 percent and Shanghai dropping 14.0 percent. The environmental campaign group also released a short film on the subject by renowned director Jia Zhangke, whose prize-winning 2013 movie "A Touch of Sin" was denied a Chinese release by the country's censors. "Smog Journeys", tells the story of two families, one in China's coal belt and the other in Beijing, showing how neither wealth nor education can defend against smog. It closes with a child in Beijing drawing pictures on dust-covered cars of a world he hopes to live in, complete with a radiant sun. "Clean air is a basic necessity for healthy living," said Yan Li, Greenpeace East Asia's head of climate and energy. "It's sad if children grow up with more smog than clean air and blue skies, as depicted in Jia's film. Bringing back clean air needs to be a priority and it requires urgent action." 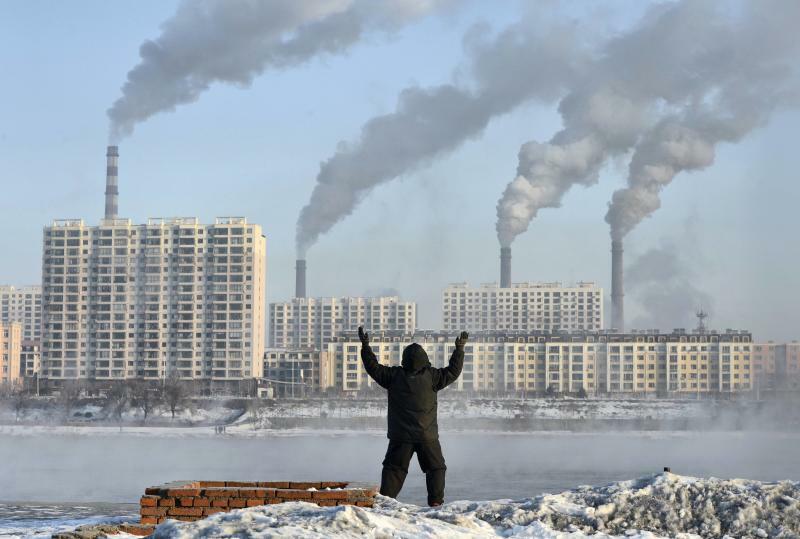 Public discontent about the environment has grown in China, leading the government to declare a "war on pollution" and vow to reduce the proportion of energy derived from fossil fuels. But it has shied away from pledging to cut total national coal use.